Get ready for a mysterious and a thrilling gaming experience as this Microgaming pokie machine will take you deep into the dark and the vicious world of the infamous bloodsuckers. Recently, many popular movies, TV shows and games have adopted this theme, so it was Microgaming’s turn to bring this wonderful theme to the online gambling world. The game does not only offer players a game, but it offers them a compelling storyline that can greatly affect the game play. 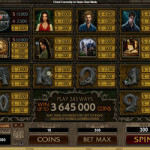 Players can read the story of the different characters by opening the paytable of the game by clicking on View Pays. The video pokie has 5 reels and it offers players a higher paying format than the usual paylines as it has the “243 ways to win” format in which players have more chances of winning as they are not restricted to a small number of winning lines. This format can pay players up to 3654000 coins. As soon as Aussies open the game, they will notice its dark vampire theme with the stone reels and the symbols that spin on them. These symbols include the logo of the game, Amber, Troy, Michael, Sarah, an abandoned mansion, ancient scripts and poker card symbols. The game has a special bonus round which is called the Chamber of Spins. 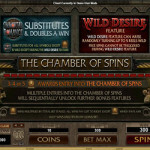 Players will earn a different number of spins. 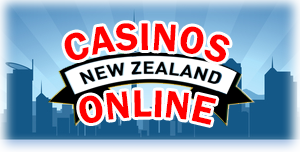 There is also the wild icon, which is the logo of the game, which substitutes for other symbol as well as doubling the payout for lucky Aussies.